Good Luck to all the dancers for 2012. We are constantly striving to produce the best Freestyle Disco Dance Competition days in the country with some of the very best trophies and prizes, usually with sponsorship from a major dance costumier. We always use independent adjudicators for day competitions. On this site you will find details of our upcoming competitions and, over the coming weeks, we will be introducing interesting articles about the dance world. Keep checking our News page to see the latest developments. 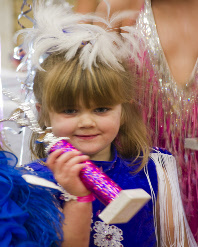 You will also find the results of our dance competitions along with photos in the Results section. Please note that we run ADFP sanctioned events. This means that you need to be an ADFP registered dancer, with an ADFP registered dance school to participate in our Freestyle dance competitions.